Which Tax Form Do I Fill Out If I Inherit a Savings Account? Report interest income on Form 1040. 1. Do High-Yield Savings Accounts Have to Be Claimed on Income Taxes? When you inherit a savings account, the value of the savings account itself is not taxable. You are not required to report the face value of the savings account. However, any interest that accrues on the inherited savings account from the date of distribution to the end of the tax year must be reported to the Internal Revenue Service. A beneficiary can inherit a savings account if the account holder sets up a pay-on-death account. The beneficiary would automatically acquire ownership of the account after the bank receives the death certificate. A beneficiary can also inherit a savings account by will or through the state laws of inheritance. However, the account would have to go through the probate process before the beneficiary gets ownership of the savings account. At the beginning of the year, the financial institution where the savings account is held will send form 1099-INT if you earned interest income of $10 or higher on the account. It is a yearly tax statement that is provided by all financial institutions to individuals who own interest-bearing accounts. The information from this form should be used to report interest income. Taxable interest income, which is included in Box 1 of form 1099-INT, should be reported on your tax returns. It is included as part of your ordinary income and is taxed according to your individual tax bracket. This includes the interest income you received after you acquired ownership of the savings account. For example, if you inherited the savings account in July, you must report the interest income earned between July and the end of the year. 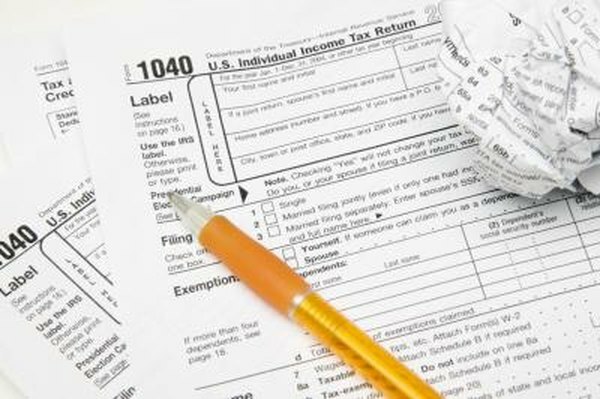 Taxable interest income should be reported on the taxable interest line, which is line 8a on Forms 1040 and 1040A, and line 2 on Form 1040EZ. Tax-exempt interest is included in Box 8 on Form 1040-INT. This amount is not subject to federal tax. However, the total amount of tax-exempt interest income should also be reported on your tax returns. On Forms 1040 and 1040A, tax-exempt interest must be included on line 8b, and line 2 on Form 1040EZ. Box 2 on Form 1099-INT includes the interest penalties that were charged to you if you withdrew funds from your savings account prior to the maturity date. This might be the case if the savings account was a certificate of deposit. On Form 1040 line 30, you can deduct the entire amount of the penalty charges. How Often Is Interest Accrued on a Savings Account?